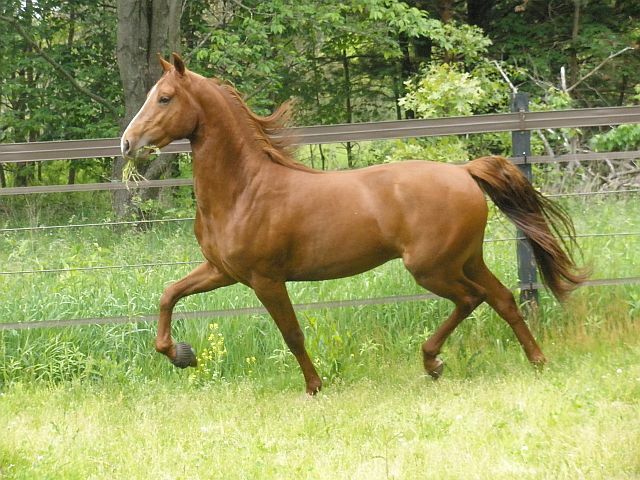 Mugger is a 2007 Chestnut Colt Bred by Anne Wyland of Ancan Morgans. Owned by Westport Farm, Mugger was purchased as a classic english pleasure/ driving prospect but will probably do just about anything you ask. He is striking in every way. Mugger is up headed with effortless knee action, suspension, balance and drive from his hocks. He was numerous wins in halter and has now started showing under saddle. He currently is being ridden dressage, hunt and western but is very versatile and would go classic and driving as well. Will be a great youth prospect. Ridden in the arena and on trials by my 9 year old, Mugger frames up for the kids with a punchy look, and automatically sets his head and has the tiniest cute steady jog with the kids. Still need adult mile in the show ring but has what it takes to be a top circuit youth horse. He has also been trail ridden. 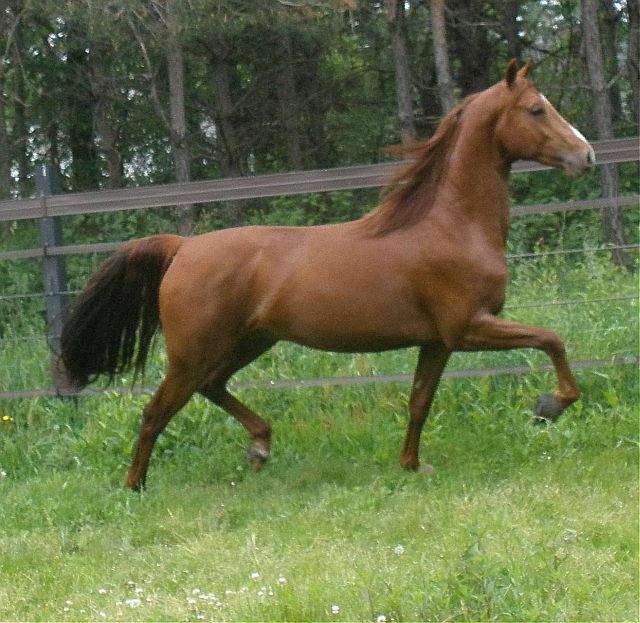 He learns very fast and is wants to please. . PRICE $8500. Price will go up with more saddle work and showing. 2013 Smokey Black Colt : For Sale $8000. Eye catching colt has presence that turns peoples heads. He is a very unique color, smoky black with rubicon frosting throughout his flanks and body. Lots of chrome on his face, he is sure to catch peoples attention. He might make a valuable stallion prospect, if he stays here he will be gelded. He is a twin foal but you would never know it. He should mature over 15 hands and currently ties, clips, has been loading in the trailer and handled daily. Started on ground work and lounging.